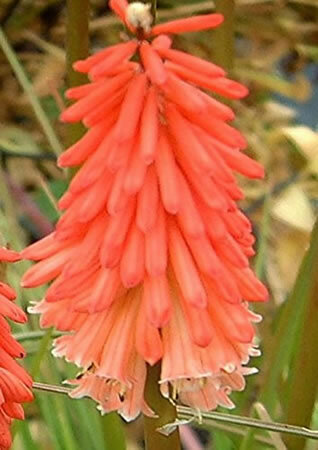 Red Hot Poker. 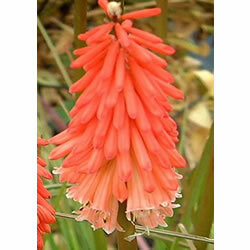 Stunning erect heads of vibrant orange red flowers with a creamy yellow base. Max Height 60cm. Max Spread 30cm. Flowers July to October. Full sun. Hardy. Back-fill with soil mixed with peat substitute and a suitable fertiliser.